What Billboard did not know, was that McCready had visited Ken Berry at Virgin Records in London and obtained the rights to distribute the Virgin label in New Zealand. McCready set up RTC (Record & Tape Company) with partners Brian Pitts and Warwick Woodward. McCready first met Pitts when the latter was an engineer at EMI’s first NZ studio in Victoria Street, Wellington. Pitts joined Philips in 1971 and was McCready’s marketing manager when they launched 20 Solid Gold Hits in 1972. They also opened a large Peaches record store near the corner of Queen Street and Victoria St, Auckland. 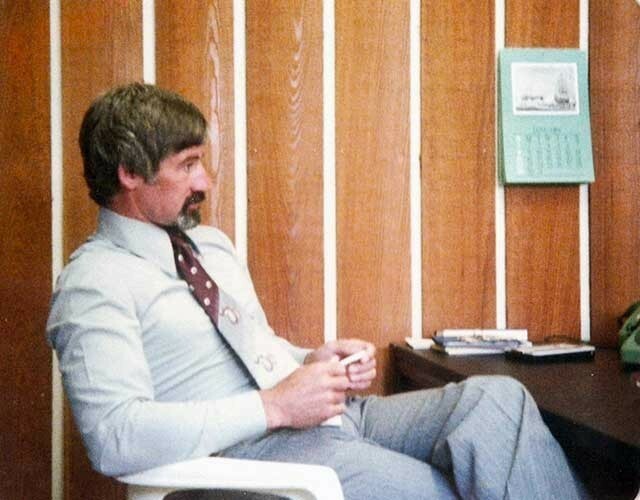 In 1977, John McCready ran the Peaches stores – they opened a second store in an arcade in lower Queen Street – while Brian Pitts ran the RTC distribution company. Peaches gave the enterprise cash flow but RTC needed more titles to sell so McCready approached CBS Australia to obtain the rights to distribute CBS in New Zealand. 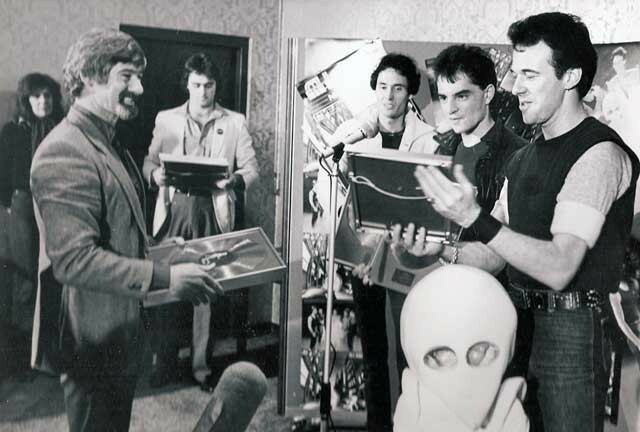 The head of CBS Australia, Bill Smith, was not interested in being represented by RTC but he offered McCready the job of opening the first CBS office in New Zealand. McCready initially said no to the offer, but when asked six months later, he took the job. 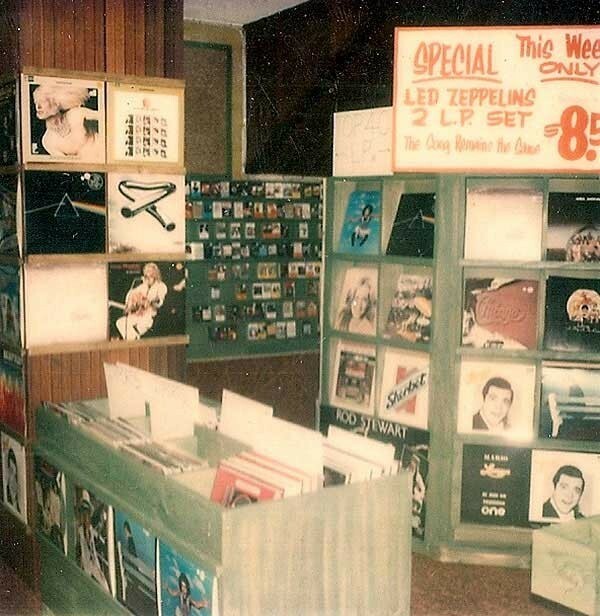 In the interim, PolyGram New Zealand expressed interest in buying the Peaches stores to get further involved in Auckland music retail, so the stores were sold, leaving Pitts to manage RTC and allowing McCready to move to his new role at CBS Records. I got to the new CBS office in Falcon Street promptly, to find McCready seated near the reception with no visible employees and not much furniture. He agreed to book the back cover and the bottom half of page three indefinitely and I thought it was Xmas in January. Once John McCready was in the magazine, the two big companies that did not want to know about advertising in RipItUp in 1977, had to follow the leader. McCready was not a philanthropist. The year at Peaches had shown him that the magazine was popular and he wanted CBS to have the most visible positions for his advertisements. In 1978 there was an unfair 40% tax on records, tapes, stereo gear etc – initiated by the Labour Government in 1975 and maintained by the National Government. The major record labels, perplexed by the arrival of punk and new wave, used the tax as an excuse to cut back on recording New Zealand music. The traditional tour de force in local repertoire EMI – known up until 1972 as His Master’s Voice, or just HMV – dispensed with their A&R/record producer position after Alan Galbraith’s move to Sydney in September 1977. The punitive tax on the recording industry existed until the election of the 1984 Labour Government. Labour halved the tax to 20%. The tax was further reduced with the introduction of the uniform 10% GST tax in October 1986. In an environment where other companies were putting recording local music in the “too hard” basket, McCready as an astute businessman saw the gap in the market to actively record local repertoire. Just as he had seen local music signings as a means to build Philips’ market share in the early 1970s, he chose to record local artists to increase the CBS market share. The CBS office furniture was still new when McCready signed Sharon O’Neill. A new generation had entered the music business in the late 1970s punk era. They were not likely to be fans of McCready’s Top 40 A&R signings but they liked his view that a New Zealand record company was not there merely to distribute and import foreign music but to record and export music. 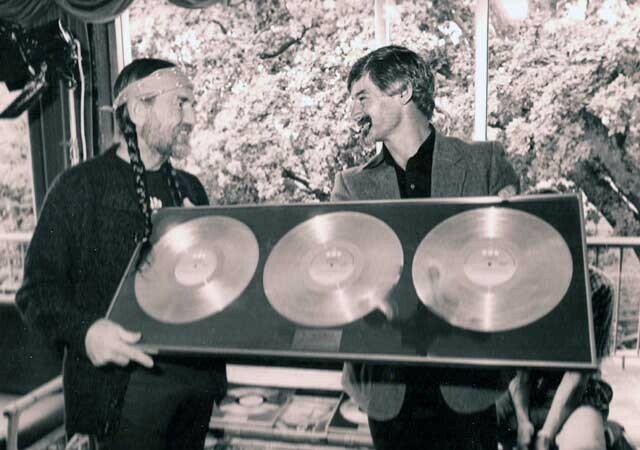 When US producer Jay Lewis visited New Zealand as a guest of the record company NZFPI to run seminars on recording music, McCready hired him to produce a Citizen Band album and subsequently to record Sharon O’Neill and Jon Stevens. 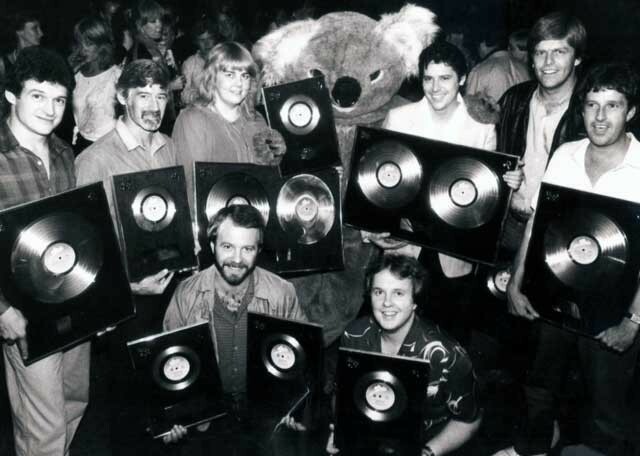 The use of foreign producers in Australia and New Zealand was an attempt to counter radio’s criticism of local recordings not having an “overseas sound” and to have a “name” to assist in achieving foreign releases for local recordings. Initially, PolyGram sold CBS releases into record stores, but within six months McCready wanted to employ his own sales staff. One of the applicants was Murray Thom, straight out of secondary school. He liked music and liked the idea of having a company car. At school, Thom excelled at sport rather than study, like McCready himself. Thom had also applied for a sales job at PolyGram via a recruitment agency, so McCready employed him on the spot. McCready and Thom’s athleticism was evident to this writer when a fight broke out at a Toy Love gig at Squeeze nightclub in Auckland. They were first up the stairs and out the door into Fanshawe Street. McCready set ambitious sales targets for his young sales staff to achieve. 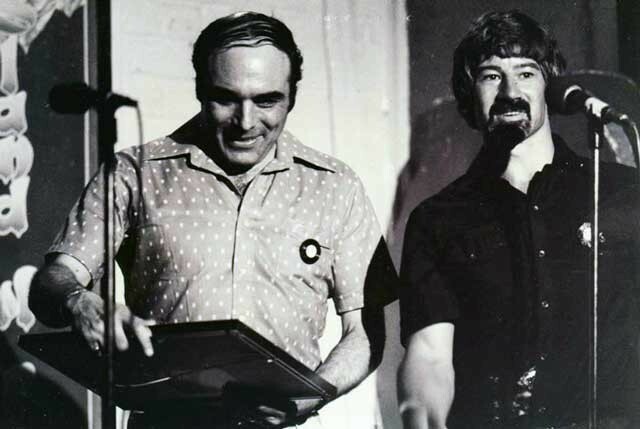 Murray Thom told AudioCulture in 2016, “He drove me very hard, but he saw the potential and he gave me every opportunity in the world.” In his post-CBS career, Thom excelled in marketing with TV-advertised Carl Doy albums, personalised number plates and The Great New Zealand Songbook. McCready then met with Jim Moss and the shop’s order for the new Cure album went from three figures to four figures. Egdell went about his day’s other calls thinking he was going to lose his job. The next day a cheery Jim Moss phoned Gilbert to say, “Don’t worry, The Cure albums I ordered with John are all sale or return.” Egdell recalls, “I learnt to sell real fast.” He kept his job, sold more units and was soon moved to Auckland to head promotions and then A&R. The serious record executive kept what gymnastic skills he retained from his youth as party tricks. Thom recalls his leaving a Sydney restaurant with his boss. “John borrowed a youth’s skateboard and he did a handstand on the skateboard.” Egdell recalls McCready’s show-stopping backwards flip at a CBS conference in Australia. A key staff member in the early days of CBS, Gaynor Crawford was a very skilled publicist with a strong love of singer-songwriter music. Crawford was Sharon O’Neill’s number one fan and she fast-tracked public awareness of the young singer. Budgets increased for Sharon O’Neill as Australian CBS got further involved and she was able to transition from being New Zealand-based to being Sydney-based. “Luckily Peter Dawkins wanted to sign her to CBS Australia,” said McCready. 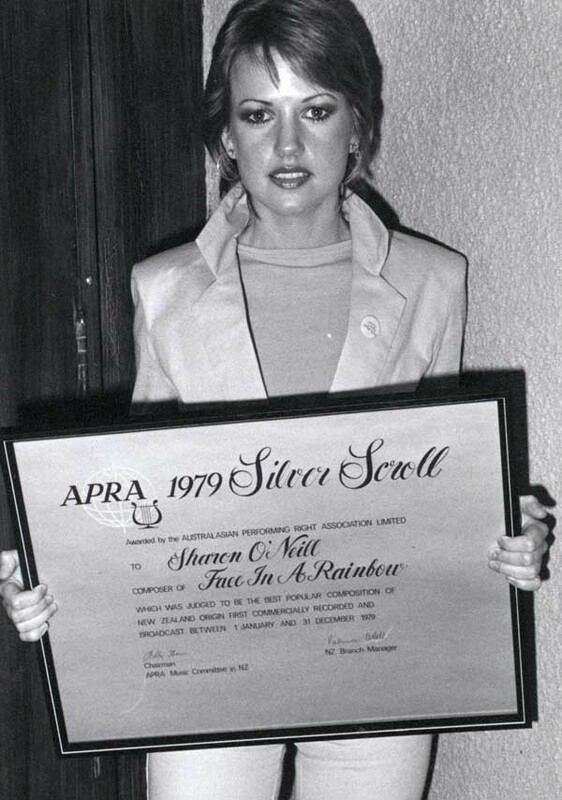 The importance of a supportive record company relationship is illustrated with Sharon O’Neill’s career. Many musicians make one album but under the guidance of McCready, Sharon O’Neill’s career followed an ideal trajectory – it was onwards and upwards for the first four albums – from an inexpensive debut album recorded at Radio New Zealand (Wellington); to a bigger budget self-titled album with a foreign producer, Jay Lewis, at Marmalade Studio (Wellington); to a third album Maybe, recorded in Sydney with imported producer Peter McIan; to a Los Angeles recorded album Foreign Affairs, produced by John Boylan. After McCready left CBS Australia in 1982, Foreign Affairs was successfully released on both sides of the Tasman and gained a rare US release, but while writing her fifth album, O’Neill fell out with CBS and never made another record for the label. John McCready achieved a great start to Jon Stevens’ career with two consecutive No.1 singles and a successful debut album, but he did not record four albums, as he did with O’Neill. Danny Ryan and Rocky Douche from Wellington’s Marmalade Studio brought Stevens to CBS. ‘Jezebel’ entered the NZ Singles Chart on 2 November 1979, hit No.1 in early December and stayed there for five weeks. ‘Montego Bay’ entered the charts on 18 January 1980 at No.1, knocked his first single off the top spot and stayed there for two weeks. The following month Jon Stevens had another hit single, his duet with Sharon O’Neill, ‘Don’t Let Love Go’, making it to No.5. ‘Montego Bay’ was the song that McCready found for Stevens. Ironically, while Sharon O’Neill was prevented from making a timely fifth album by CBS Australia, Jon Stevens had massive success after his band Noiseworks were signed to CBS Australia in 1986. 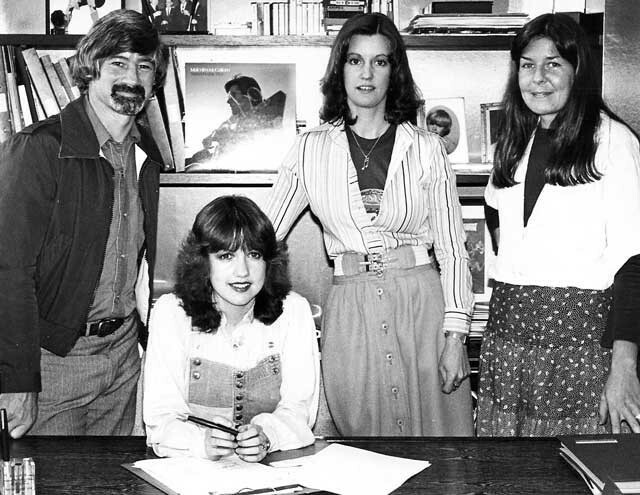 In April 1978, CBS Records was accepted as a full member of the record company industry organisation NZFPI and McCready was co-opted onto the council. His priority was to seek to organise an awards show to rekindle the excitement for local talent that had been generated by the Loxene Golden Disc TV broadcasts. He spoke to TVNZ’s Chris Bourn about the possibility of TV coverage of a music industry awards show. 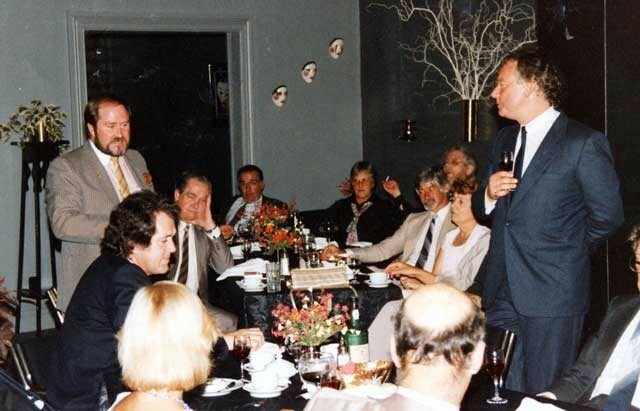 As an interim measure, a “Salute The Artist” luncheon was held on 24 November 1978 and McCready and NZFPI aimed to negotiate with TVNZ for the return of an awards show in 1979. The recording industry board in the late 1970s. John McCready is on the centre-right with a striped tie. Standing on the left is Phil Warren, sitting next to him is Zodiac's Eldred Stebbing, and standing opposite is WEA's Tim Murdoch. 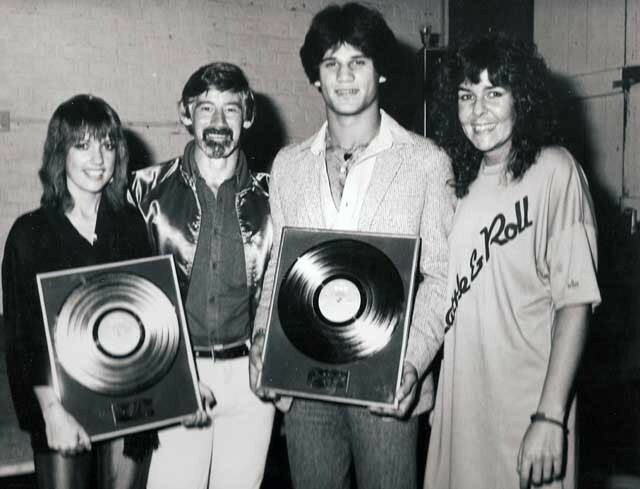 RIANZ awards for Frank Gibson Jr (receiving the award for Pacific Eardrum), Sharon O'Neill, Jon Stevens, and a sleeve award for Pete Burt (right, for Citizen Band), 1980. One of McCready’s first problems in 1978 was getting Bat Out Of Hell – by new CBS artist Meatloaf – on the radio. The Radio Hauraki programmer told McCready, “If this is the type of rubbish CBS are going to release, the company is doomed here.” New Zealand radio said a firm “No” to Meatloaf. McCready never liked the word “No” and undertook to purchase long-duration radio adverts to get Meatloaf on the radio stations that said “No”. He chose the Campaign Ad Agency to do creative marketing and media buying for CBS. McCready restarted his creative collaboration with the agency’s co-founder, Dale Wrightson who was now based in Parnell, Auckland. When RipItUp writer Louise Chunn spoke to John McCready in March 1980, the honeymoon was over with local A&R. McCready was as fired up as usual but Jon Stevens’ manager had rock plans for the singer, CBS had failed to sign Toy Love and he was disappointed that Mike Chunn and Greg Clarke had left Citizen Band prior to their trying to invade Australia. McCready had some A&R signings that underperformed including the rock band Lip Service and jazz-rockers Pacific Eardrum. In 1981 CBS started distributing Wellington’s Bunk Records with singles by The Mockers (‘Trendy Lefties’) and Beat Rhythm Fashion, and Propeller Records’ second label Furtive, which had major hits with The Newmatics and Tall Dwarfs. McCready gained a great addition to the CBS catalogue, when his former Philips NZ employee Terry Condon returned from working at Polydor UK, with the rights to Chris Parry’s Fiction label for Australia and New Zealand. The Cure became a big seller for CBS in New Zealand, with the added bonus that they had stolen the act from their rival PolyGram, who had released The Cure’s Fiction debut in New Zealand. The band toured regularly and during McCready’s tenure CBS had Boys Don't Cry (1979), Seventeen Seconds (1980) and Faith (1981). Condon also brought Midnight Oil to CBS via the Australian indie label Powderworks. When McCready was offered the managing director role in Australia, it was a logical move for him and the third time he had planned to take a job across the Tasman. Murray Thom, the young salesman that McCready employed in 1978, had so impressed him that he had made him marketing manager. McCready suggested the 23-year-old Murray Thom or the accountant Michael Glading replace him as New Zealand General Manager and Thom was selected, becoming the youngest CBS General Manager ever. John McCready arrived in Australia in March 1981 to take on the managing director role – but he did not start until January 1982 as the current MD, American lawyer Paul Russell, delayed his departure while he negotiated conditions for his move to the top job at CBS UK. McCready took on the role of marketing manager in the meantime. In Australia McCready continued to be focused on local repertoire. In Billboard (12 June 1982) John McCready was described as “having an almost obsessive interest in local recording activity.” He is quoted saying, “I don’t really want to run a factory or a record club or a printing plant, or anything that will divert my energies from the Men At Works of this country.” McCready’s list of CBS hit makers includes Sharon O’Neill and he also mentions newcomers NZ Pop (formerly known as Pop Mechanix). 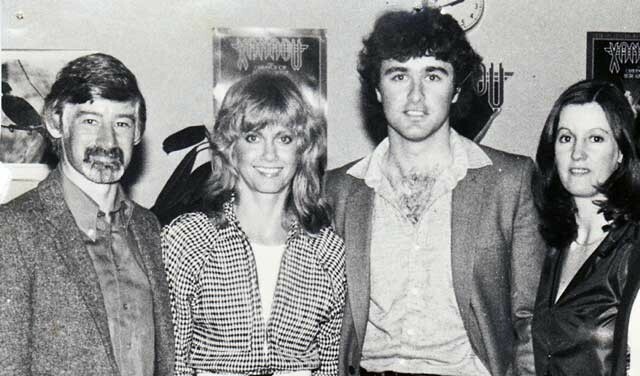 McCready left Australia late 1982, to become General Manager of Radio Hauraki. “My marriage was breaking up,” said McCready. “That’s why I left Australia, to try and save my then marriage. Bob Jamieson, an American, ran CBS Australia until 1984. Then Denis Handlin was appointed, the first Australian to run the company for 24 years. The headline in Billboard (1 Dec 1984) read, “CBS Australia Names A Native Son – Appointment of Handlin Marks Change in Approach.” The Australian-born CBS Records employees were clearly frustrated by the top job being used as a “finishing school” for foreign CBS executives. Once Denis Handlin got to the top job, he stayed. In 2014 Denis Handlin celebrated 30 years heading CBS Australia with a big charity event in Sydney and a tribute feature in Billboard magazine. McCready liked the new business challenges of being General Manager of Radio Hauraki. His role was no longer to seek airplay for new music but seek to achieve the highest ratings in Auckland. McCready soon appointed Ross Goodwin as Programme Director. The team of McCready and Goodwin took Radio Hauraki to number one in Auckland. 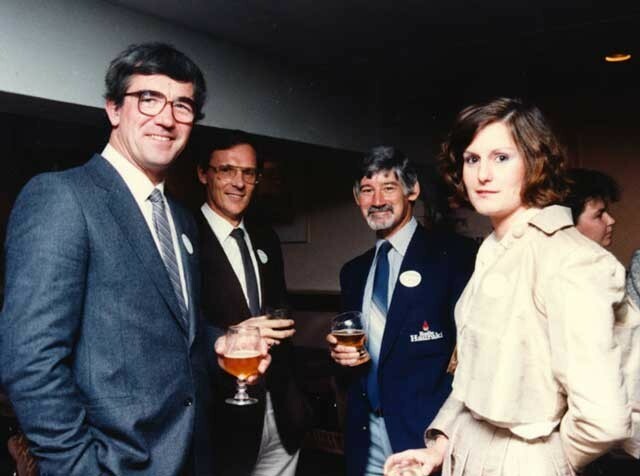 They stayed at Radio Hauraki until 1987. When Karyn Hay (Radio With Pictures) and Annabel Carr (RTC Records) organised a petition to introduce a quota for local music on radio, McCready spoke out in opposition to the proposal and was not impressed with the fact that one of the organisers was a record company employee, at the very company that he co-founded. 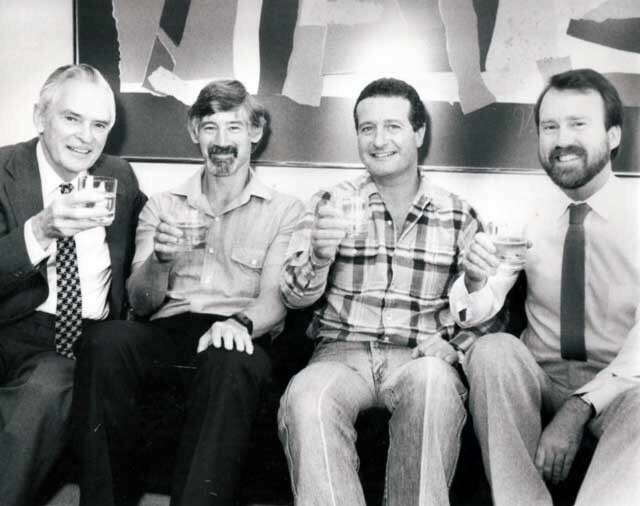 “Barrie Everard managed to get John McCready and Ross Goodwin (as a team) to move to Triple M 89FM in late 1987,” recalls the then promotions manager Harvindah Singh. 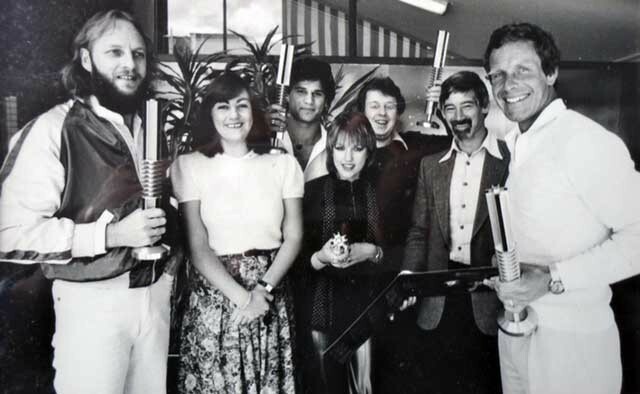 “They dropped the Triple M branding and relaunched as 89FM in early 1988.” By 1989, 89FM had climbed the rating ladder from seventh place in Auckland to number one. In 1989 TVNZ approached McCready and asked him to make the move to televison. 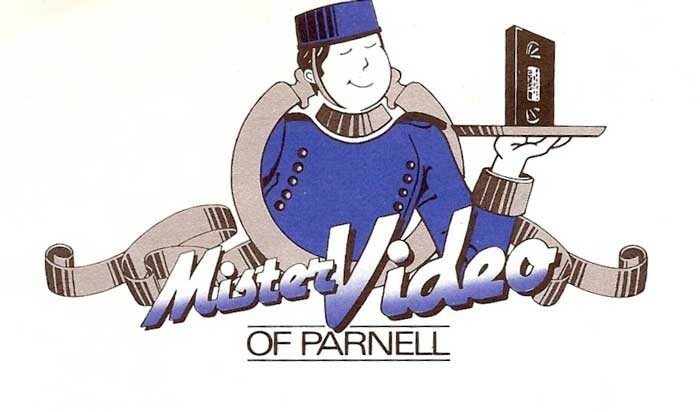 For several years in the 1980s John McCready and Dale Wrightson owned Mister Video in Parnell. John could often be found behind the counter on weekends or evenings. By 1989, in media circles, the word “competitive” was probably synonymous with “John McCready”. TVNZ was facing the arrival of a privately owned challenger, TV3, and they wanted a manager who could ensure that TVNZ maintained its dominance in a competitive market. McCready was appointed Manager of Presentation and Promotion in 1989. In this role he set out to differentiate the looks and target audiences of TV1 and TV2. After this role, McCready became Director of Programming from 1990 to 1994. After resigning from TVNZ, McCready moved to London where he was Vice President of Programming for SBS – with channels in Scandinavia, Belgium and Holland. In 1996 he returned to New Zealand as Director of Programming and Marketing for Sky TV for four years. He continued to consult with Sky TV but he and his wife JT Taylor saw the opportunity to set up their own company in 2002 – The Living Channel New Zealand. They produced the successful Living Channel and Food TV on Sky's platform. They sold the channels and retired in 2007.